Searching for the best place to buy competitively priced, high quality, premium cigars online? Then Gotham Cigars is the right place to find them. 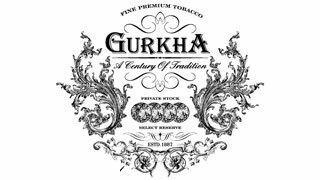 We sell major premium brands including Gurkha, a brand that manufactures premium products using unique and artistically-oriented packaging and the highest quality tobaccos. The ones featured on our site represent a wide range of the top selling and highest rated cigar blends. Their cigars are available at affordable prices and the daily deals will allow you to try them at rock bottom prices. By dealing directly with the manufacturers we cut down the cost of the middle man and purchase the best cigars we can find at the lowest prices. All of our vigars have been thoroughly inspected by the manufacturer prior to arriving at our facility. With our 5-star service, fast shipping and huge selection, you will not be disappointed after ordering your cigars. We work hard to earn your trust and loyalty everyday by closely monitoring the cigar industry to bring you a superb selection at the lowest prices. Our goal is to provide you with excellent customer service, great prices, and prompt delivery of your purchase. We take great pride in offering you one of the country's largest and freshest selections of premium cigars. The company is named after the Nepalese fighters in the British colonial army who rolled their own cigars which the British then called Gurkhas. Since then, the brand has become famous for their luxurious and unique blends made from rare tobaccos, extraordinary limited releases and one of a kind, artistic packaging designs. Their cigars are highly rated and enjoyed by aficionados around the world. The Cellar Reserve cigars have earned an incredible 97 rating by Cigar Aficionado. They feature a remarkable blend of Dominican tobaccos aged for 15 years, finished with a Dominican Olor binder and an oily Nicaraguan Criollo 1998 leaf wrapper. No detail was overlooked in this masterpiece cigar blend. The Cellar Reserve is available in three sizes- the Solara, Hedonism and Kraken and presented in boxes resembling crates. The Ghost cigars are luxurious beauties hand crafted in the infamous Abe Flores factory in the Dominican Republic. One of their most popular blends, they feature a meticulously selected Nicaraguan and Dominican tobacco filler blend with an aged Dominican Criollo 98 binder and a dark and oily Brazilian Arapiraca Maduro leaf wrapper. The Ghost cigars are highly sought after by connoisseurs everywhere. Royal Challenge cigars feature Dominican and Nicaraguan long filler tobaccos with a Honduran Habano binder and an elegant, perfectly aged Ecuadorian Connecticut shade leaf wrapper that is impeccable and silky. These medium bodied smokes have rich, complex flavors with notes of cedar, spice and citrus with a buttery, creamy finish. The presentation of the leather box with detailed insignia is truly eye-catching. MEET THE ROLLS ROYCE OF THE CIGAR INDUSTRY, CHOOSE YOUR FAVORITE CIGAR FROM OUR WIDE SELECTION!